Jennifer Garner, Kate Beckinsale, and Eiza Gonzalez show off their styles at the 2018 ESPYs held at Microsoft Theater on Wednesday (July 18) in Los Angeles. Jennifer donned a long gown with diamond jewelry; Kate looked chic in a beaded one-shoulder gown and bodysuit; and Eiza looked sleek in a strapless velvet dress with a high slit. Jennifer and Kate served as presenters along with Alison Brie, Jim Gaffigan, Allison Janney, Mikaela Shiffrin, and Jon Stewart. Jorja Smith took the stage for a performance. They were joined snowboarder Shaun White, who was nominated for Best Olympic Moment and Best Male Olympian. 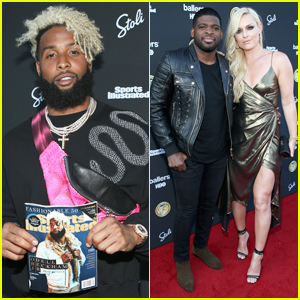 Also in attendance were Julie Ertz, Nick Foles, Von Miller, Travis Kelce, Terrell Owens, Kareem Abdul-Jabbar, Odell Beckham Jr., Alex Morgan, and Nick Young. Celebs also took part in the Red Carpet Show Live! with Moët & Chandon, the official champagne of the red carpet. FYI: Jennifer is wearing Lanvin with Neil Lane jewelry. Kate is wearing Alberta Ferretti with Sara Weinstock earrings. Eiza is wearing Rasario with Graziela Gems and EF Collection rings, and additional Jennifer Meyer jewelry. Alison is wearing Vivienne Westwood with Sophia Webster shoes. Allison is wearing Jeffrey Dodd with BaubleBar earrings. Mikaela is wearing Giuseppe Zanotti shoes and Tacori jewelry. Von is wearing Carhartt. Jorja is wearing Tiffany & Co. jewelry. Alex is wearing Maria Lucia Hohan on the red carpet and a Hamel dress, Harry Kotlar earrings, a Hueb bracelet, and a Borgioni ring at the show. Shaun is wearing a full Etro look. Derek Hough, Tommy Dorfman & More Step Out for Cedars-Sinai Sports Spectacular 2018! Derek Hough is all smiles as he poses alongside honoree Amy Purdy on the red carpet of the 2018 Cedars-Sinai Sports Spectacular held at The Compound on Sunday (July 15) in Inglewood, Calif. The 33-year-old World of Dance judge was joined at the event by Tommy Dorfman, Sean Hayes, Lamorne Morris, Chloe Kim, Terrell Owens, Snoop Dogg and his wife Shante Broadus. 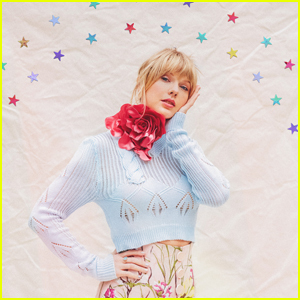 The event’s mission is to support the Sports Spectacular Diabetes and Obesity Wellness and Research Center at Cedars-Sinai in order to increase resources for children and adults battling diabetes and obesity. In addition, each year, the Sports Spectacular Fellowship Endowment provides five deserving physician-scientists the opportunity to develop clinical and research skills in an immersive community of knowledge that includes mentoring from Cedars-Sinai faculty. 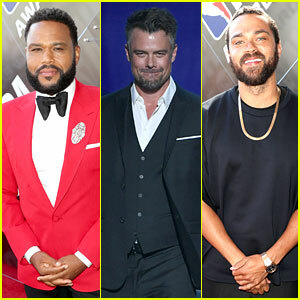 Anthony Anderson, Josh Duhamel, and Jesse Williams join forces at the 2018 NBA Awards! The 47-year-old Black‑ish star, the 45-year-old Love, Simon actor, and the 36-year-old Grey’s Anatomy actor stepped out for basketball’s big night held at Barker Hangar on Monday (June 25) in Santa Monica, Calif.
Anthony hosted the event, which featured a performance by Travis Scott as well as commentary from Inside the NBA‘s studio team, including Shaquille O’Neal and Charles Barkley. Houston Rockets’ James Harden took home the award for NBA Most Valuable Player, and Philadelphia 76ers’ Ben Simmons won Rookie of the Year. 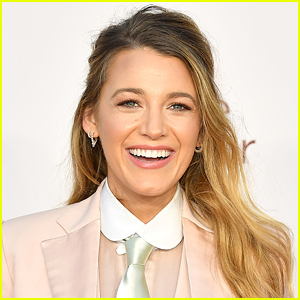 Also in attendance were Adam DeVine, Adrienne Bailon, her husband Israel Houghton, Meek Mill, Quincy Brown, Damaris Lewis, 21 Savage, DJ Khaled, his wife Nicole Tuck, Kareem Abdul-Jabbar, Karrueche Tran, Terrell Owens, Gucci Mane, Kelly Rowland, and Shaq‘s sons Shareef, Shaqir, and Myles. FYI: 21 Savage is wearing Saint Laurent. Kelly is wearing Uel Camilo. Terrell Owens Teams Up With Kelly Monaco for 'DWTS' Trio Night - Watch Now! Terrell Owens brought back a familiar face for this week’s Dancing With The Stars! The 43-year-old former football player and his partner Cheryl Burke hit the dance floor with DWTS winner Kelly Monaco during the Quaterfinals on Monday (November 6) in Los Angeles. The trio performed a Rumba to “Slow Hands” by Niall Horan and was awarded 27 out of 30 points from the judges. For the couple’s other unlearned dance, they did a Charleston to “Bad Boy Good Man” by Tape Five and were given a score of 24 out of 30.